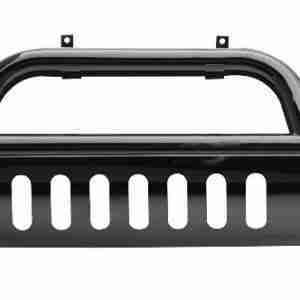 Smittybilt Black Grille Saver is designed with the highest quality materials to provide that custom look. It is highly durable and matches OE form, fit and function. This unit is manufactured to exact specifications to ensure high quality and dependability. 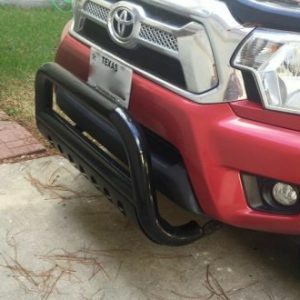 Smittybilt Grille Savers provide the heavy duty protection and custom-built style that off-road vehicles demand. 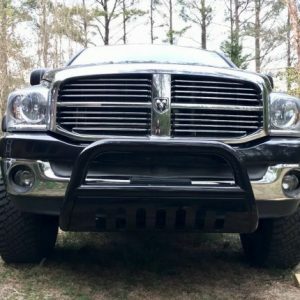 Crafted from 3″ tubular steel, along with a polished skid plate for maximum protection, Smittybilt Grille savers come custom fit for each application to provide tough, durable performance in the rigors of the off-road world. Smittybilt Grille Savers provide the heavy duty protection and custom-built style that off-road vehicles demand. Crafted from 3″ tubular steel, along with a polished skid plate for maximum protection, Smittybilt Grille savers come custom fit for Nissan to provide tough, durable performance in the rigors of the off-road world.